Cardinal Stefan Wyszyński, who liked to rest in Choszczówka, prayed here. 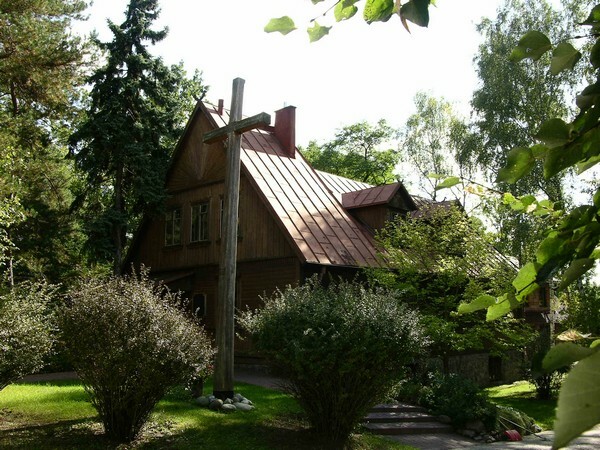 In 1973, he brought a genuine cottage of the Kurpie region and adapted it for liturgical use as a chapel. The Polish Episcopate’s sessions took place here, e.g. in 1978, when Cardinal Karol Wojtyła participated in such a session for the last time before he was elected Pope. Here is also the house in which the Primate used to stay while in Choszczówka.